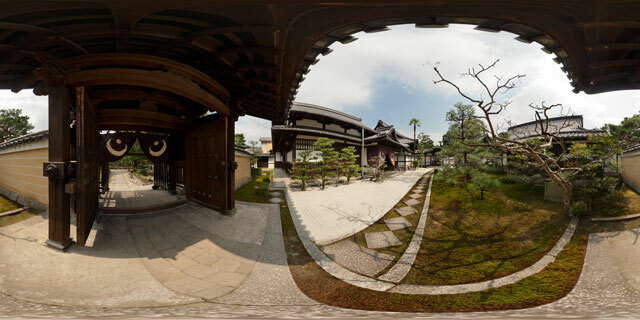 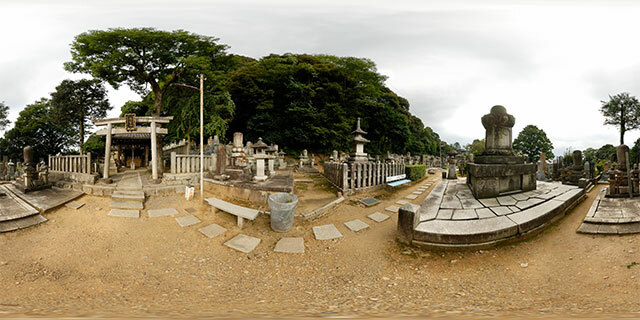 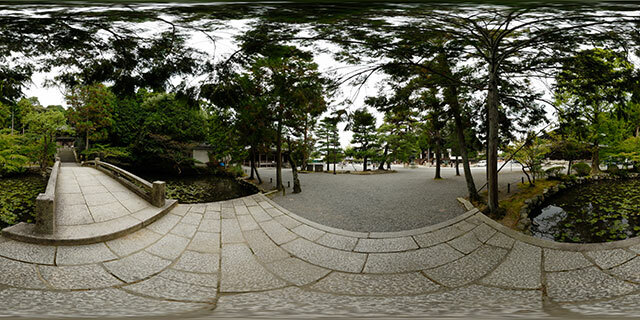 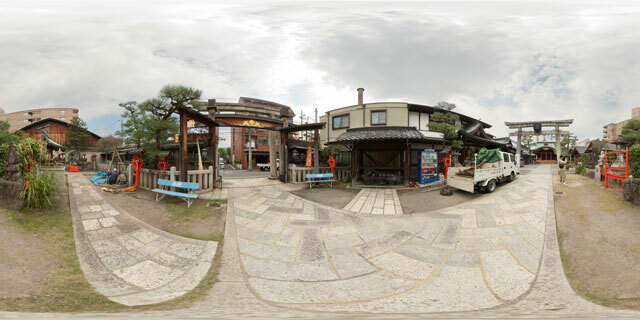 360° VR panorama to the side of the Haiden in Ebisu shrine (ゑびす神社), Kyoto, Japan. 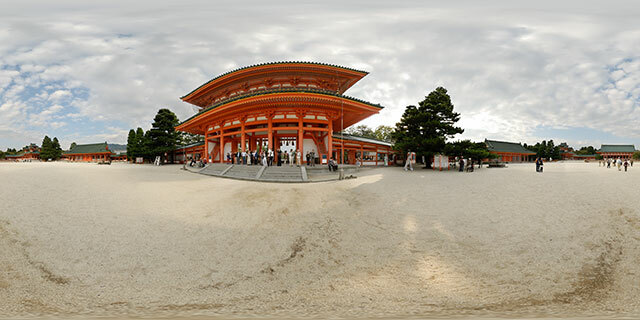 The shrine is built with several pine trees incorporated into the grounds. 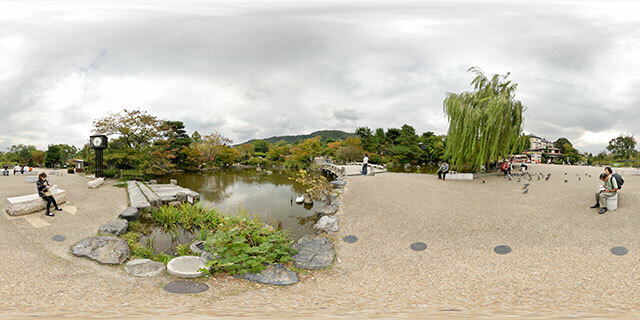 A variety of smaller plants are grown in pots. 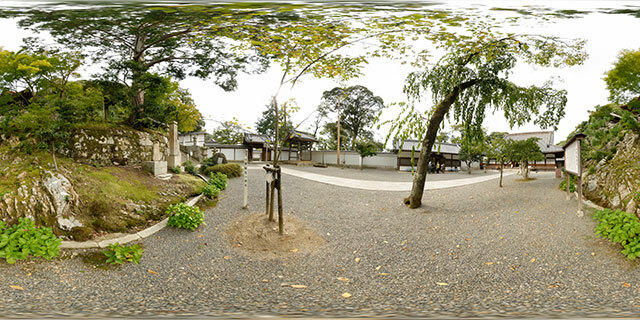 Nearby, along the wall to the west, are a couple of small shrines, known as sessha (摂社) or massha (末社). 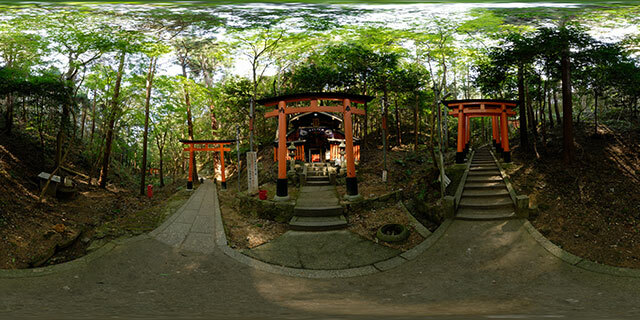 Also nearby is a vermilion coloured brightly painted rack used for hanging Ema, pieces of wood with prayers written on them. 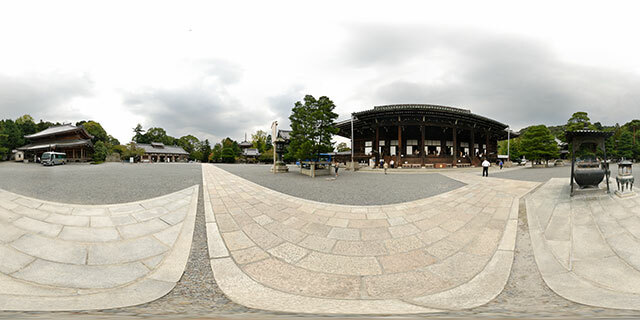 Ebisu is one of the seven gods of fortune. 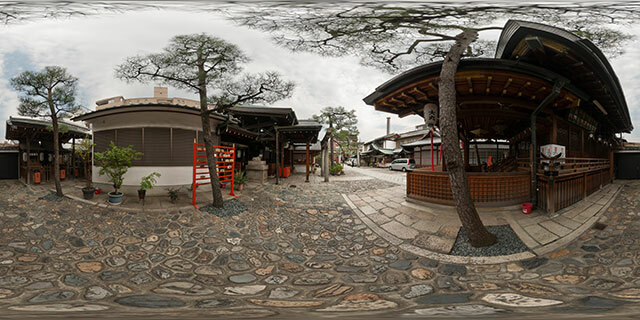 During his festival, from 8th to 12th of January, Business people visit the shrines dedicated to him to pray for prosperity for their businesses.